The Japanese Grand Prix proved to be another blow to Sebastian Vettel’s world title hopes when the Ferrari driver was forced out of the race in the opening laps thanks to a faulty spark plug. Ferrari engineers were seen working on the championship contender’s car on the grid, and thanks to their efforts Vettel was able to start the race from his inherited front row grid slot. But the quadruple champion was overhauled off the line by the charging Red Bull of Max Verstappen, and by the second lap Vettel was sliding backwards, passed by car after car. At the end of lap 4, when the German racer was in seventh place, the Ferrari pit wall called their driver back into the pits, his race at a premature end. Despite the run of bad luck, Vettel is still in mathematical contention for the title, 59 points behind championship leader Lewis Hamilton and with 100 possible points to be gained in the final four rounds of the season. The German racer has refused to speak ill of his team despite his recent misfortunes, and is determined to arrive in Austin for the United States Grand Prix in full fighting form. “It’s normal you’re critical, especially if things go wrong, so it’s part of our job,” Vettel told Sky while the race was still being run. “I think I need to protect them. We’ve done an incredible job so far. It is obviously a pity the last two races with the reliability issues, but you know, it’s like that sometimes. “Of course it hurts, and we’re all disappointed. But now we need to get back, get some rest and then go flat out for the last four races and see what happens. 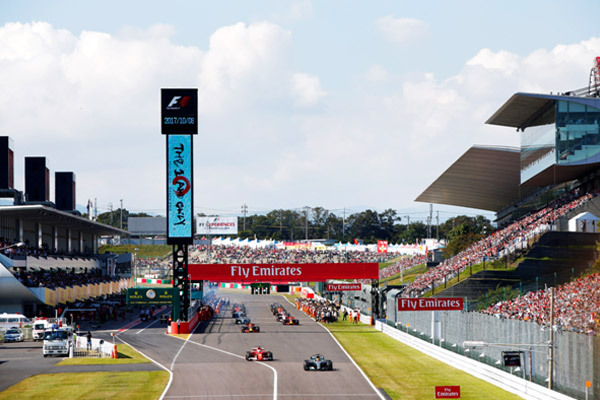 Less than ten laps from the end of a Japanese Grand Prix that Lewis Hamilton had controlled from lights to flag -- stops aside -- a puncture for Lance Stroll kicked up the tension at Suzuka Circuit, with a virtual safety car coupled with vibrations for car #44 giving Max Verstappen the chance to wrest the race win from the championship leader. As the Williams was approaching the Esses Stroll suffered a high-speed puncture that saw the Canadian skating across the gravel out of control, narrowly missing the Red Bull of Daniel Ricciardo as he rejoined the track. Unable to continue in his stricken car, Stroll pulled up on the grass and awaited the intervention of the volunteer marshals. Race Control called for a Virtual Safety Car, allowing Hamilton to maintain some of the 4.5s lead he had over second-placed Verstappen, but then the Briton radioed his team to report vibrations at the rear and the gap between the two leading cars narrowed to around one second. Verstappen asked for permission to pounce on the Silver Arrow in the closing laps, and tension ratcheted up a notch as Hamilton’s sure win looked ever less certain. In the end, salvation came from the unlikely hands of Fernando Alonso, who ignored waved blue flags and slipped neatly past the Red Bull -- an action for which he was later summoned by the stewards, although no action had been taken at the time of writing. Hamilton went on to win the grand prix and extend his championship lead in the process, but Stroll’s puncture breathed new life into the closing laps of what had looked to be a formulaic victory for the Briton. The Japanese Grand Prix marked a last hurrah for Jolyon Palmer and Carlos Sainz Jr, with neither driver able to deliver a points haul to their teams as a departing gift. Sainz will be moving to Renault for the United States Grand Prix in Austin, an earlier departure from Scuderia Toro Rosso than had been anticipated when the Spanish racer’s 2018 Renault contract was announced last month. 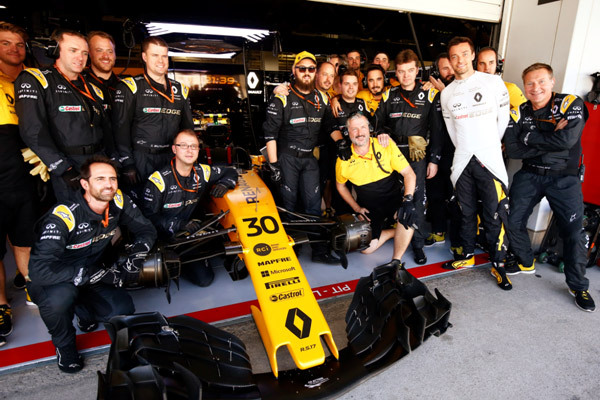 To make room for Sainz, Palmer ceded his seat with the Enstone racers, and is currently without a drive for the remainder of 2017, and with nothing yet lined up for next season. Despite running in and around the lower end of the points-paying positions for chunks of the Suzuka race, Palmer eventually crossed the line in 12th place, a forgettable end to what has been a largely forgettable Renault career. Sainz had a far more dramatic final weekend with Toro Rosso, and was the first retiree from a Japanese Grand Prix that saw only 75 percent of the field take the chequered flag. A 20-place grid drop penalty for changes to his power unit saw the Spanish racer line up for Sunday’s race in 19th place. Desperate to make up ground off the start, Sainz span and continued on the first lap. One lap later, he was out of the race altogether, having crashed in the Esses on the second lap and bringing out a short-lived Safety Car. It was an ignominious end to his three-year Toro Rosso career. “How disappointing,” Sainz said after the race. “This wasn’t the way I wanted to end my time with Toro Rosso, that’s for sure! I’d like to say sorry to the whole team for retiring on the first lap… I was trying to risk everything at the start to try and gain some positions, so I went around the outside at Turn 6 and I found a lot more dust on the track than I was expecting, and lost it; as simple as that. 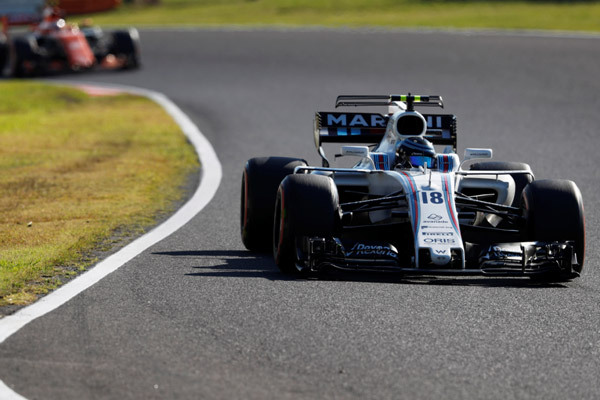 “It’s a shame, because I was really looking forward to finishing on a high here in Suzuka with the team but I’m going to remain positive: these three years here have been absolutely amazing – it’s been an ideal preparation for me; the driver I am today, compared to the driver I was in 2015, is a more complete and better one, and this is thanks to Toro Rosso, who are a great group of professionals who have helped me a lot to become the driver I am today. It’s going to be quite emotional leaving the track tonight.